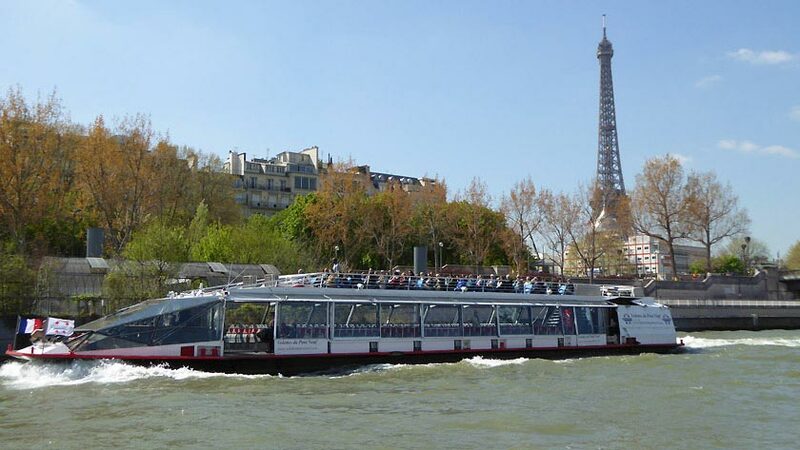 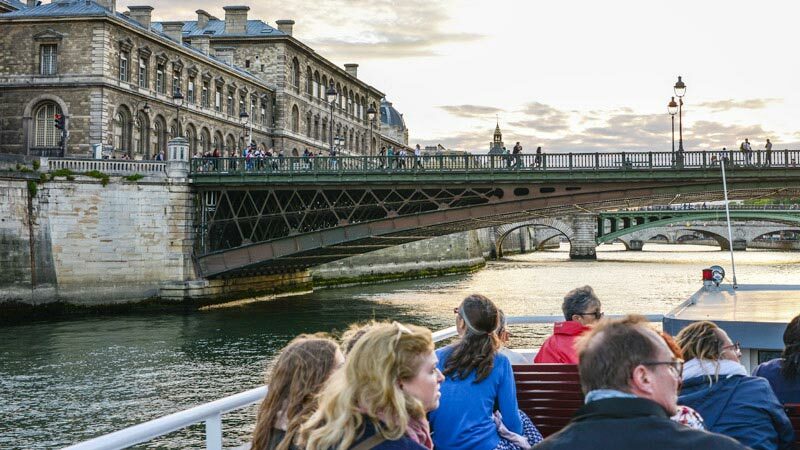 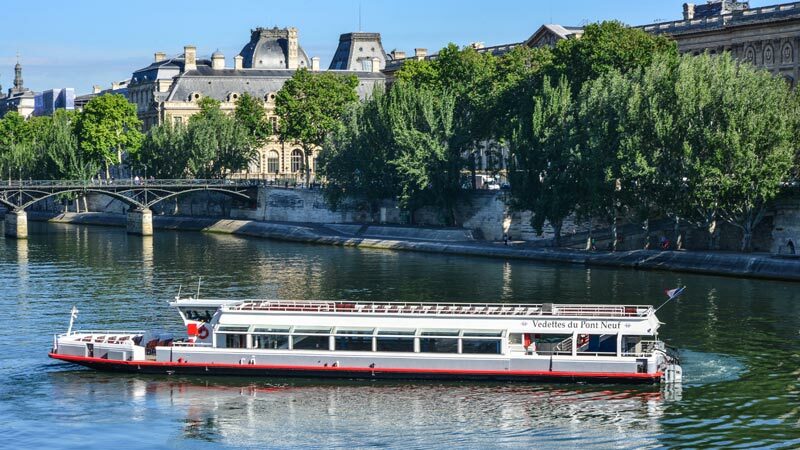 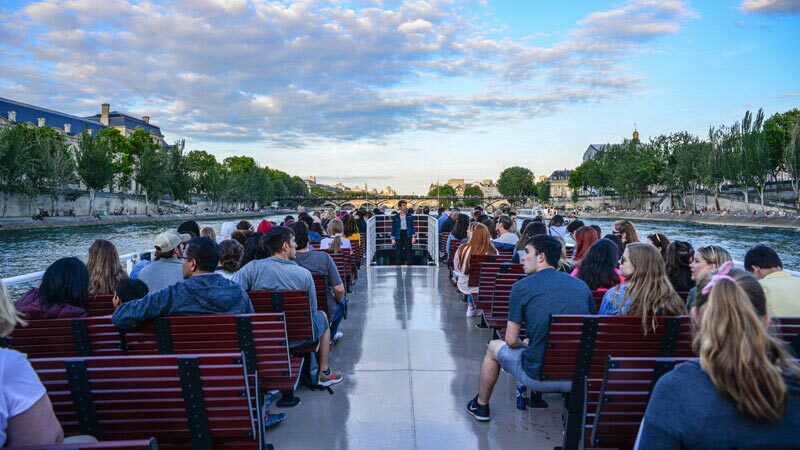 If you want to discover or show someone Paris under the best conditions with a boat just for your group, enjoy one of our 1-hour touring cruises aboard a boat reserved just for you! 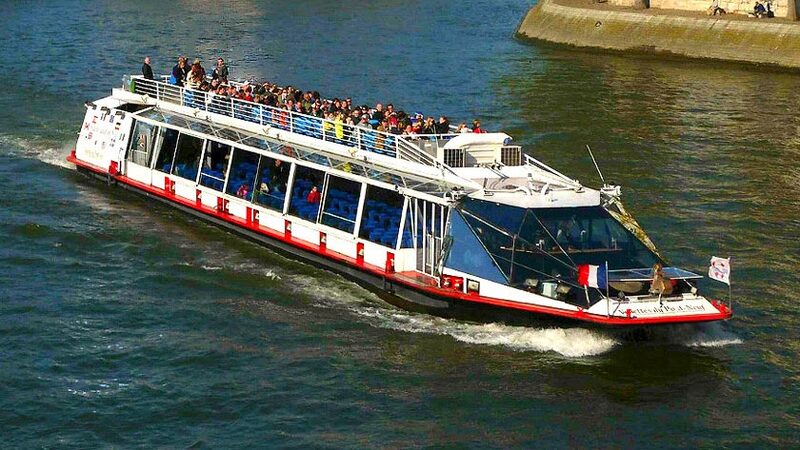 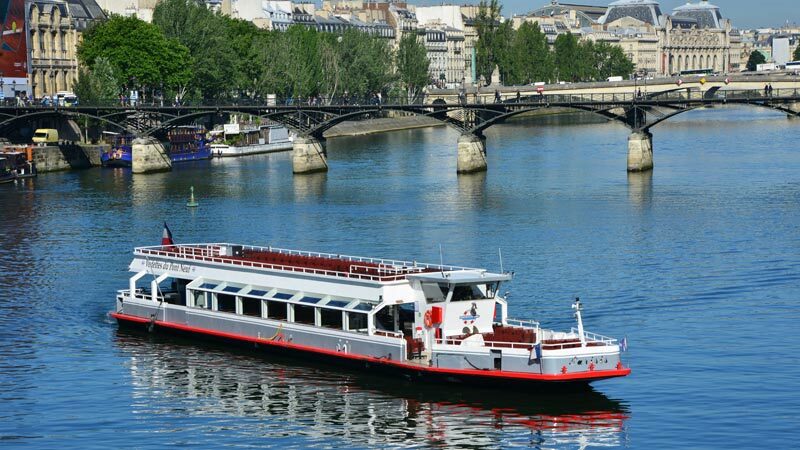 The best deal in Paris for a private group touring cruise! 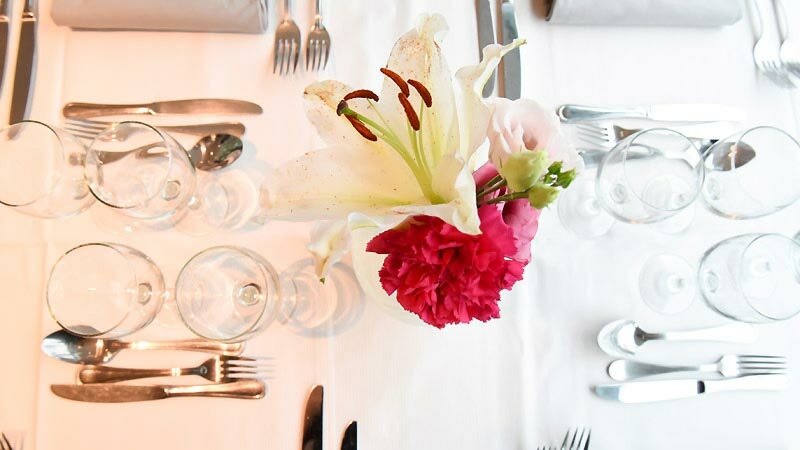 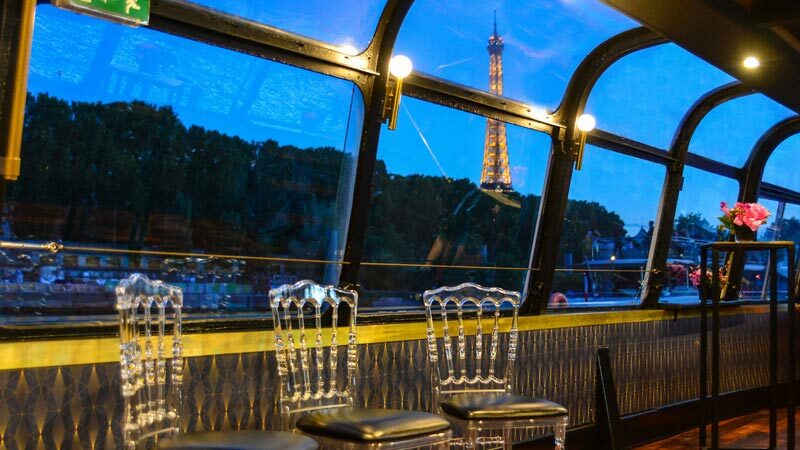 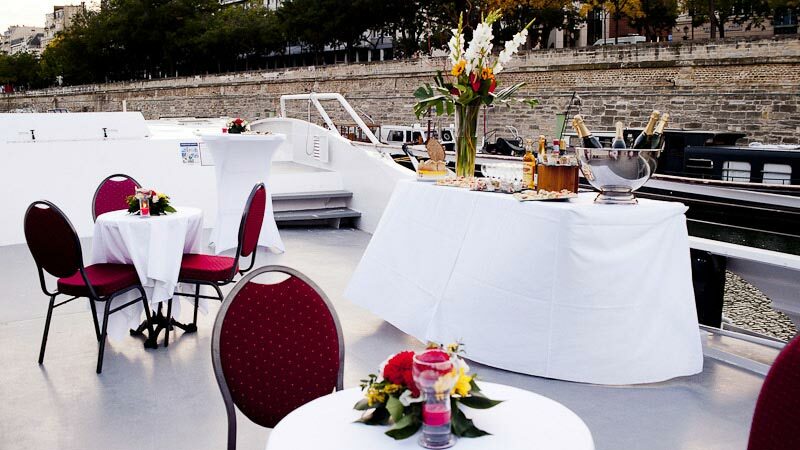 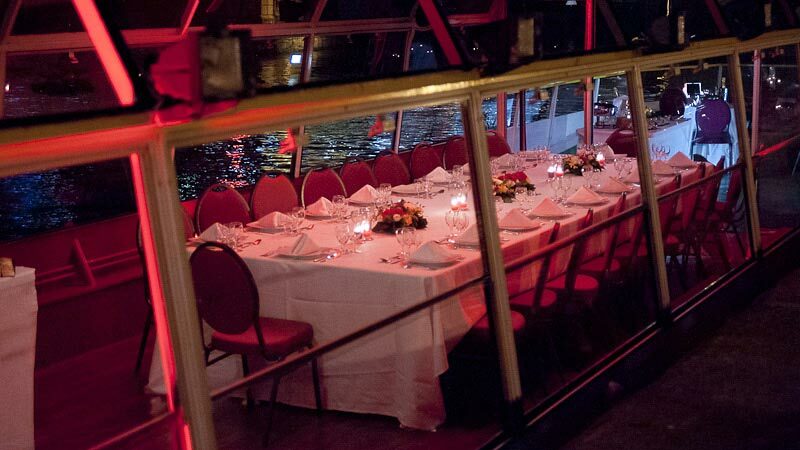 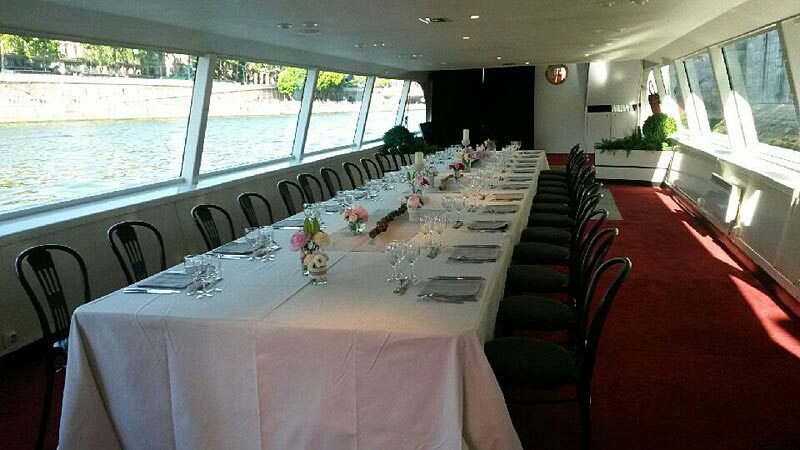 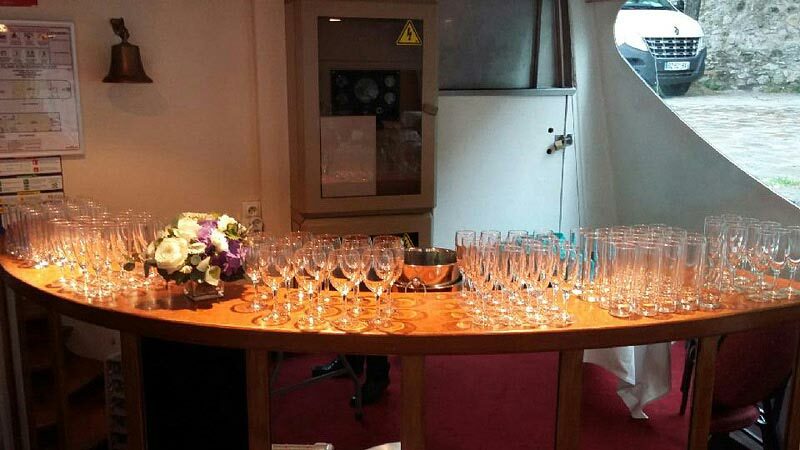 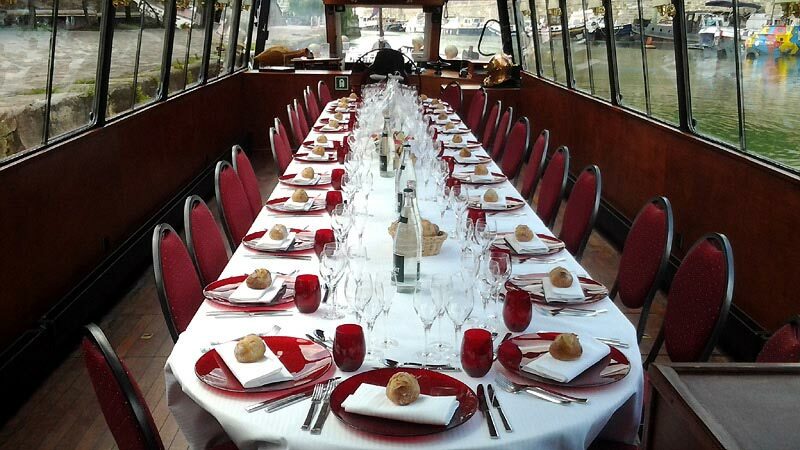 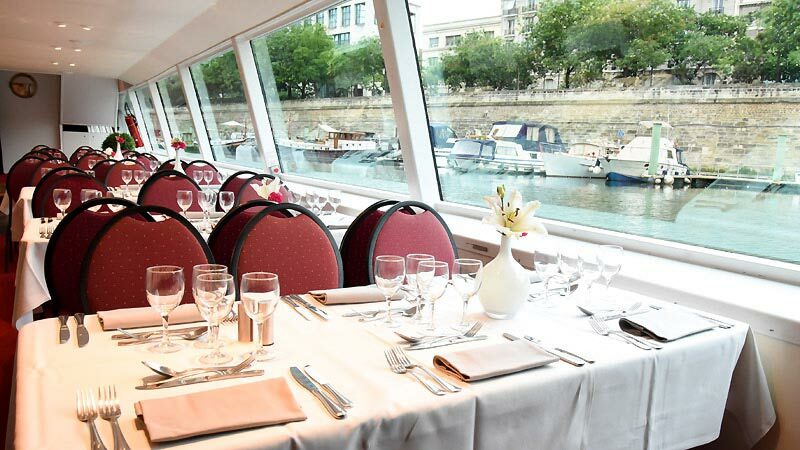 From simple shuttling to customized events such as a breakfast, refreshments, or even a cocktail party, Les Vedettes du Pont Neuf can create any event with one of its special boats! 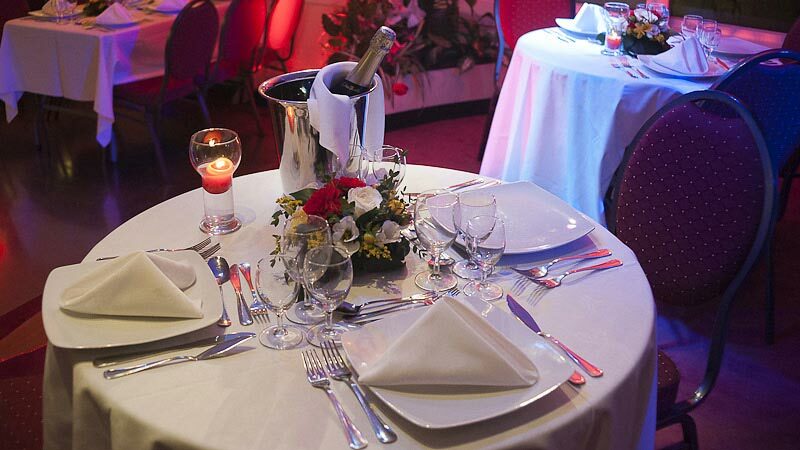 OPTIONAL: entertainment, decorations, additional time, souvenir photos, etc. 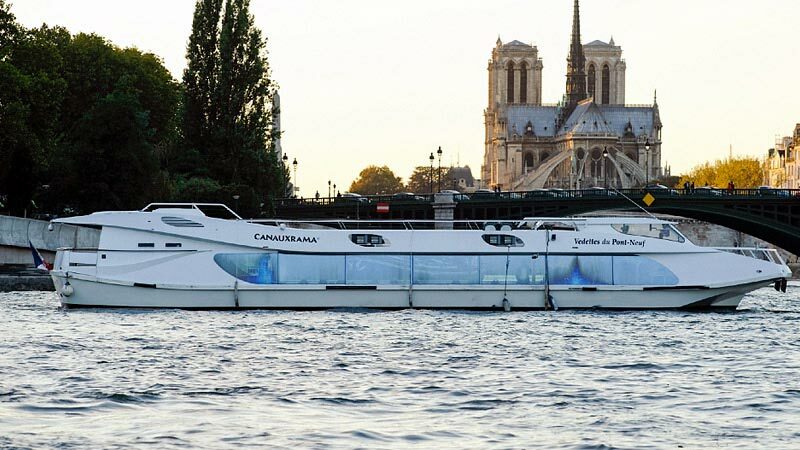 Set sail on this boat and enjoy the sun deck, which can fit up to 270 people. 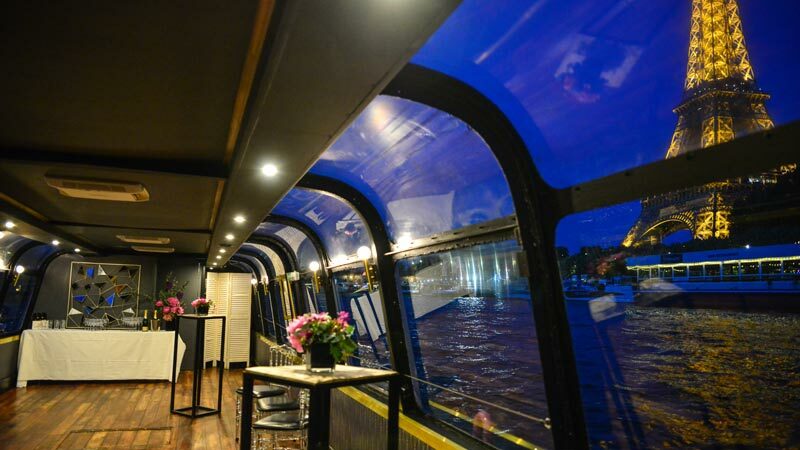 In any weather, your guests will enjoy the inside of the boat with its 220 sheltered seats. 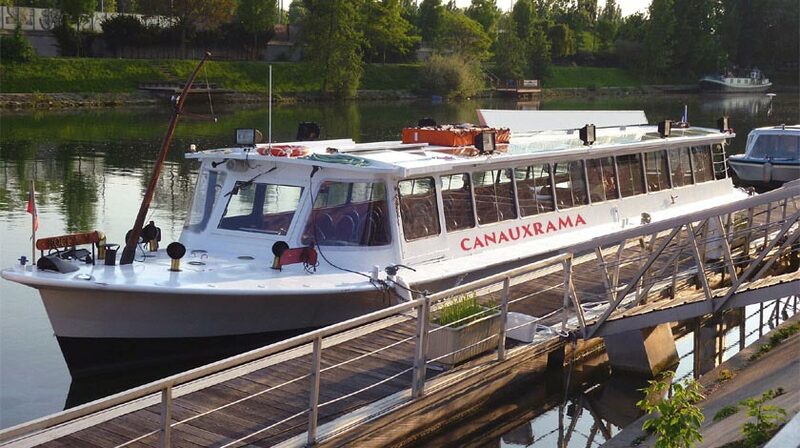 This smaller boat is everything you're looking for. 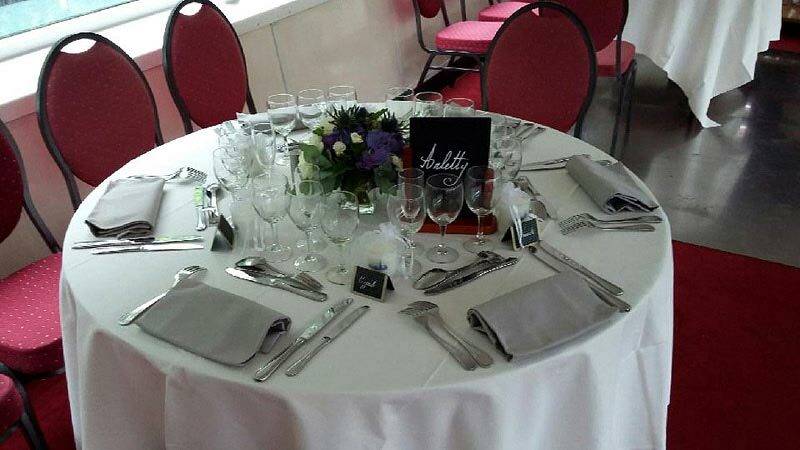 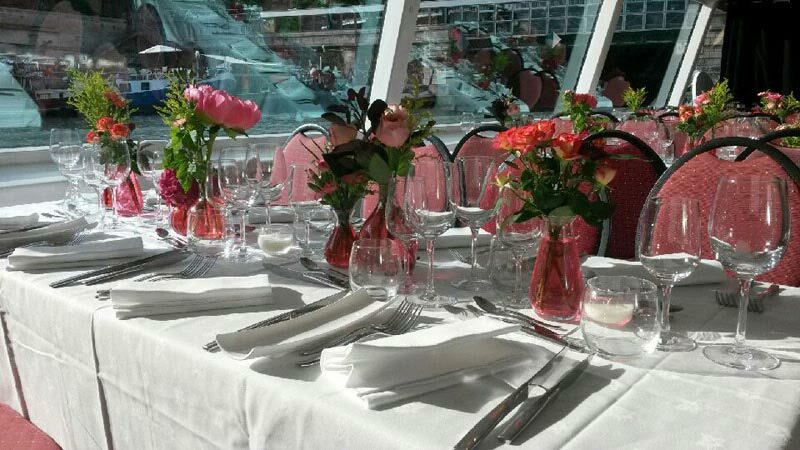 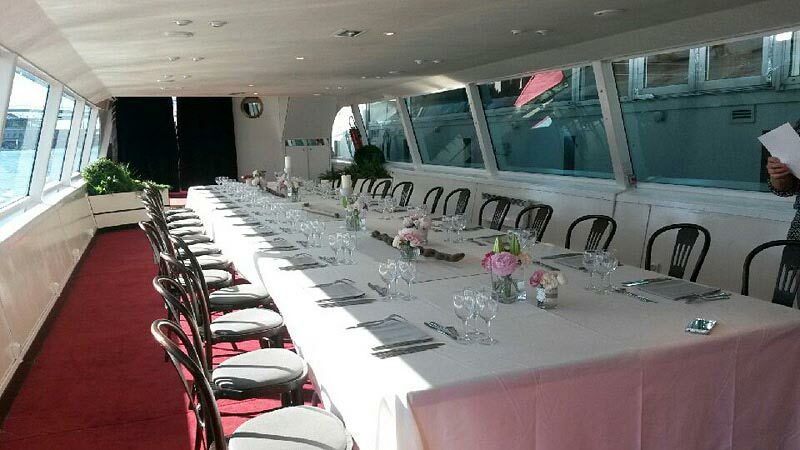 It's ideal for private booking, and your guests will enjoy champagne seated in one of our 100 seats on the sun deck! 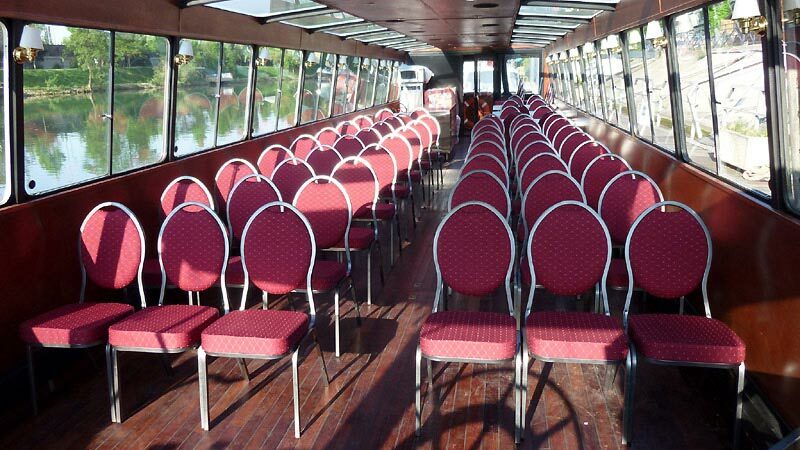 The 230 seats inside can welcome you all year long, no matter the weather. 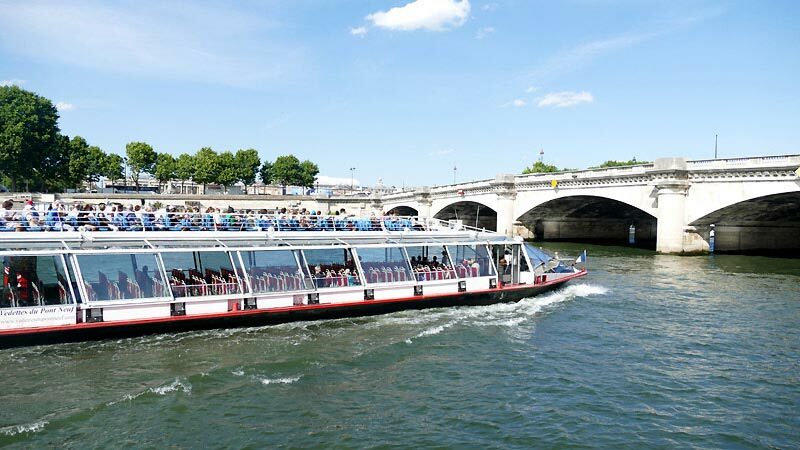 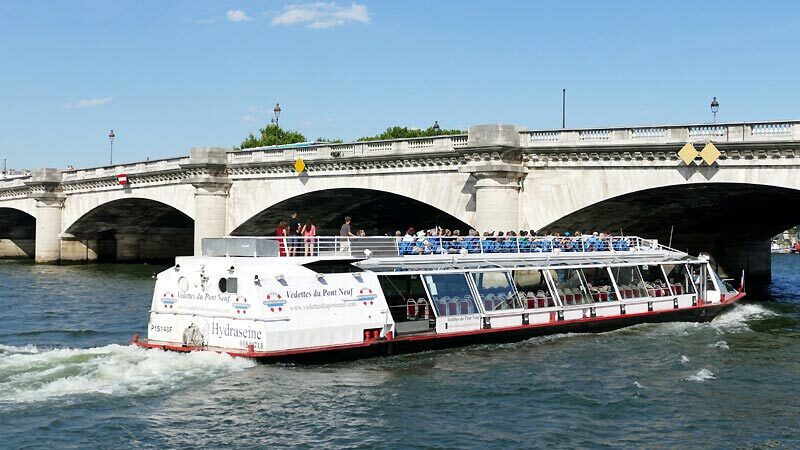 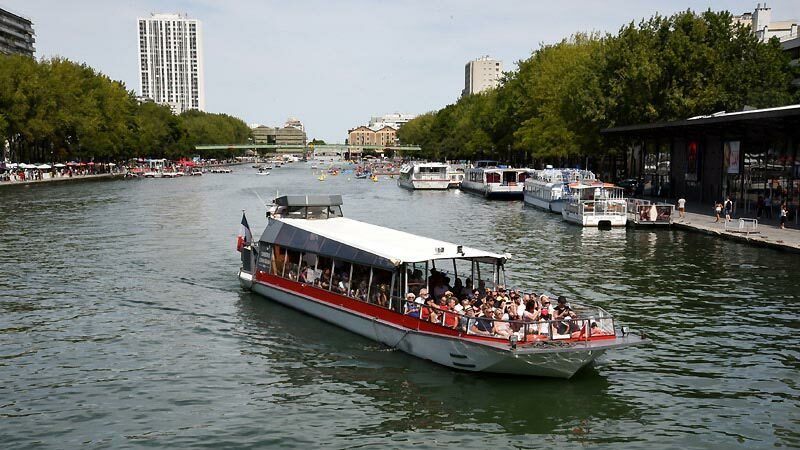 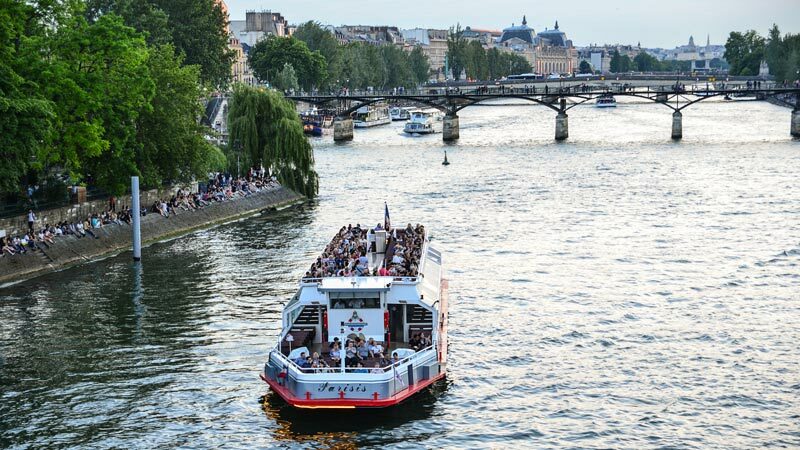 With a capacity of 300 seats on the fully convertible main deck, this boat is ideal for the summertime, especially so you can enjoy Les Vedettes du Pont Neuf's very own version of "Paris Plage"! 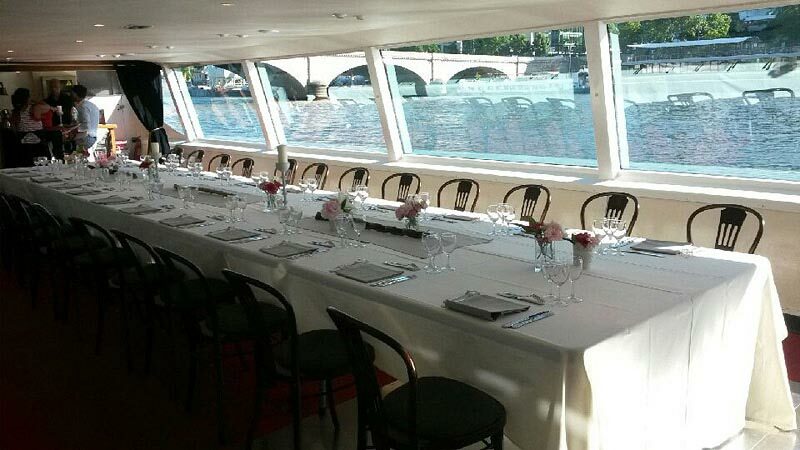 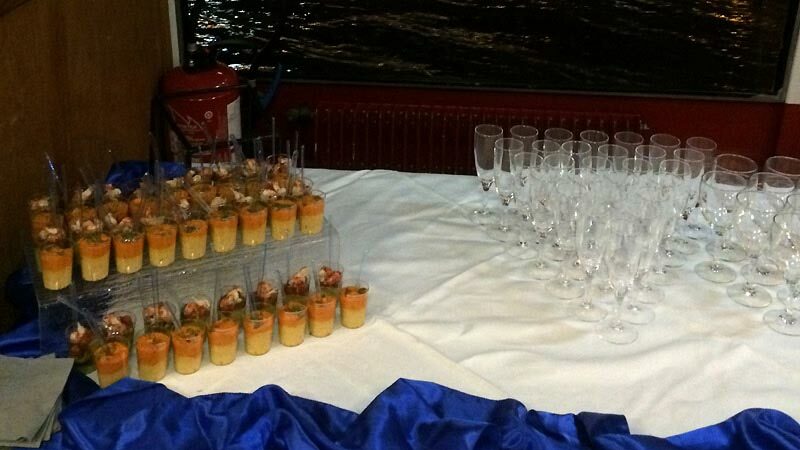 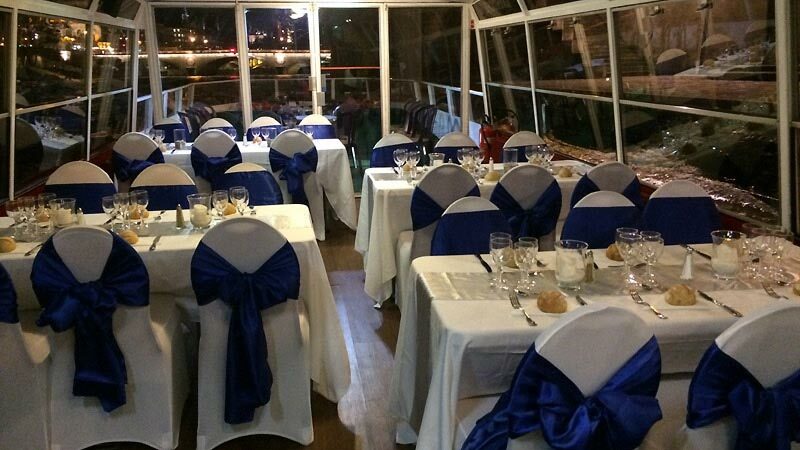 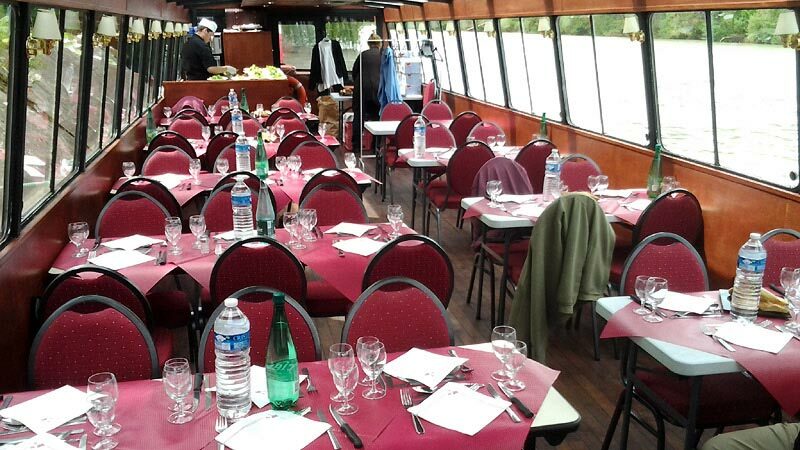 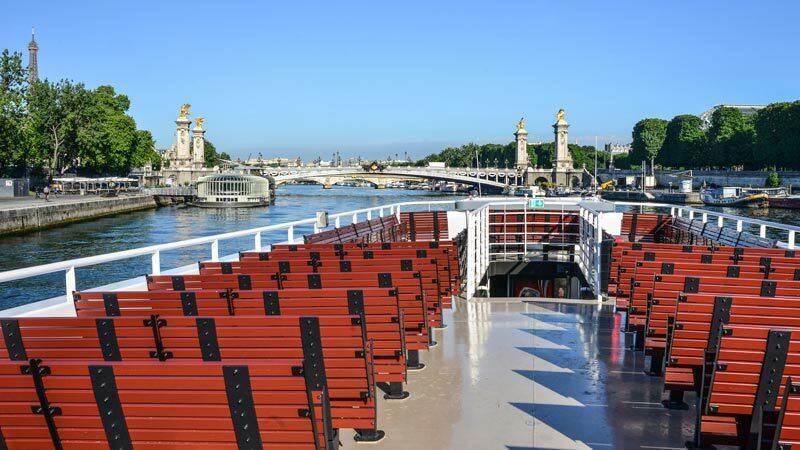 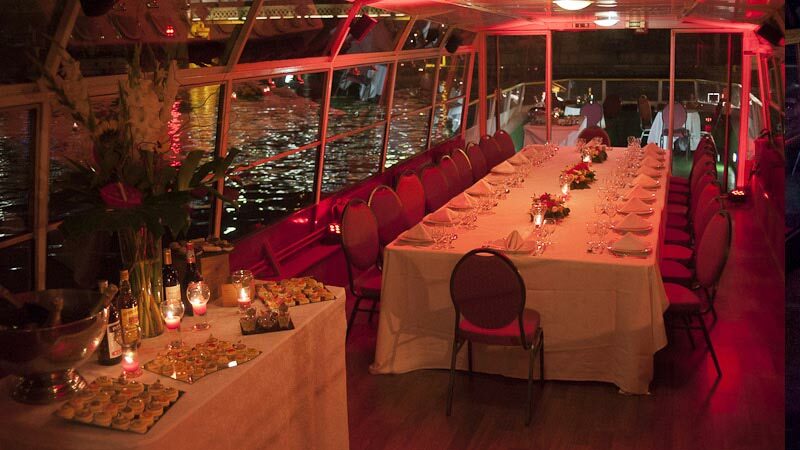 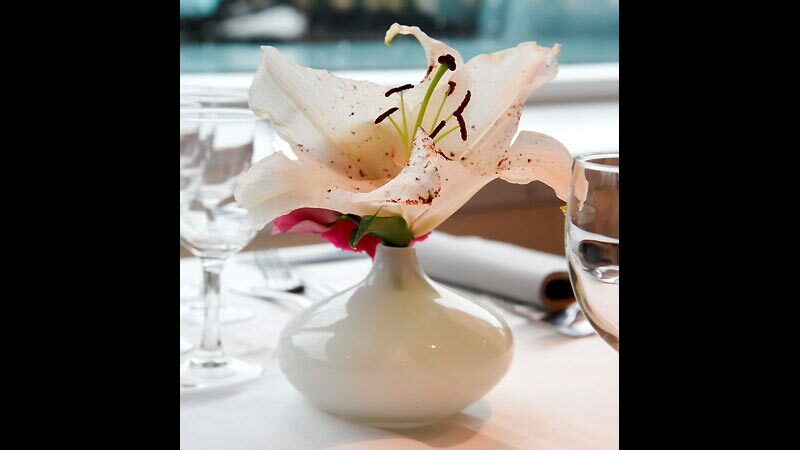 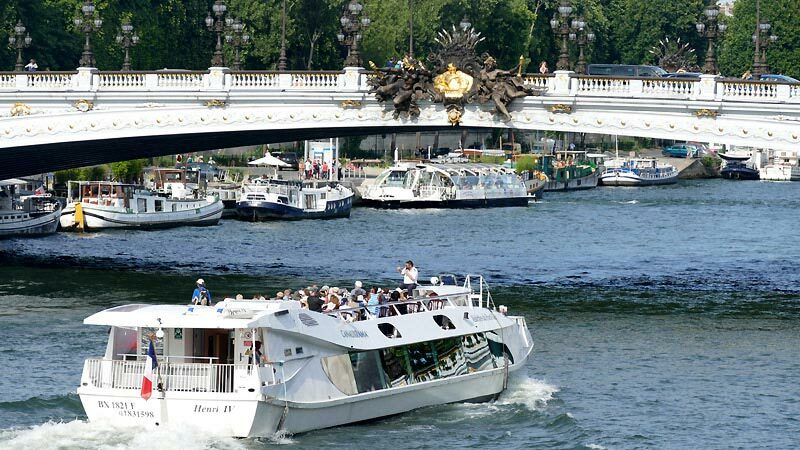 The Henri IV boat provide an unrivalled context for your receptions and seminaries. 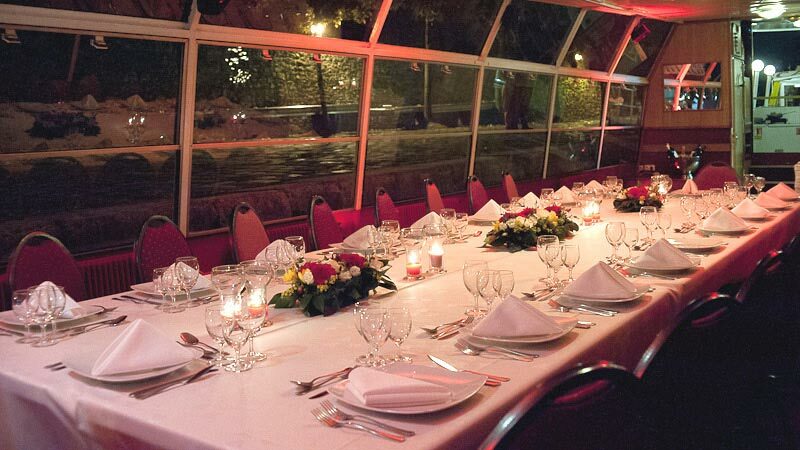 The room is decorated with burgundy tints, which confer a cozy and friendly atmosphere. 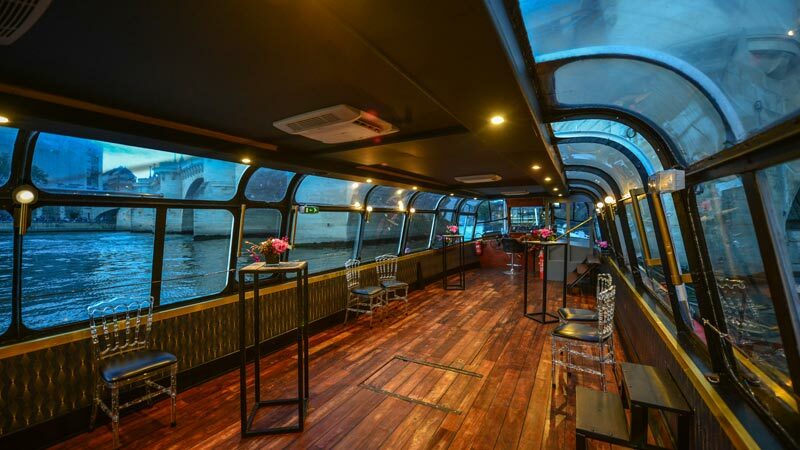 This boat is entirely panoramic, air-conditioned and equipped with a bar and a hifi system. 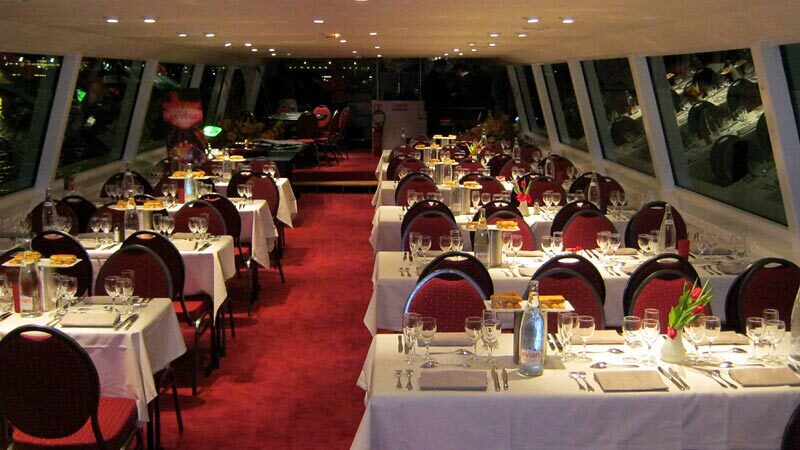 There is also a platform which can be essential in order to organize a meeting or a conference. 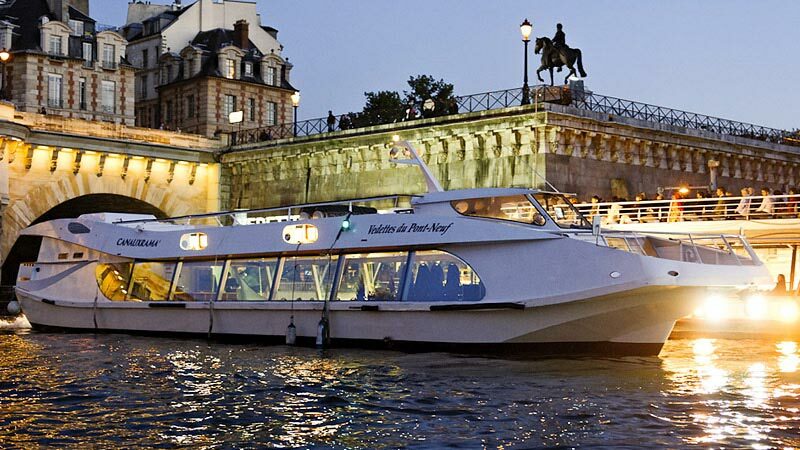 The Henri IV boat can receive a maximum of 100 people for a dinner and 120 for a cocktail. 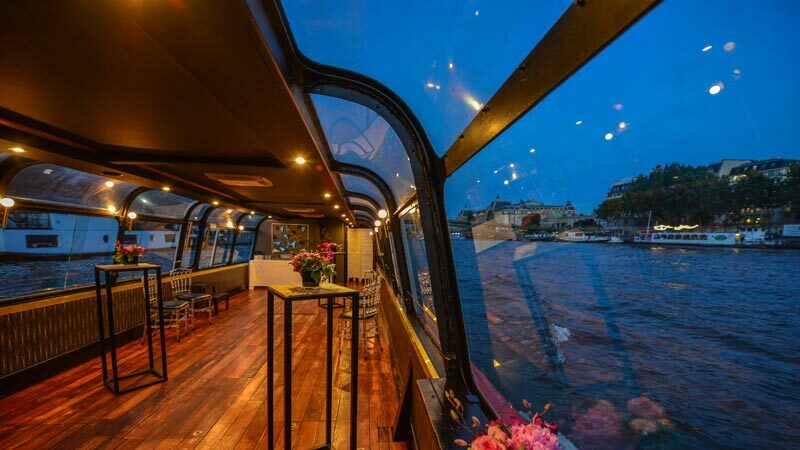 Indeed, it possesses a spacious upper deck which could be perfect for an aperitif. 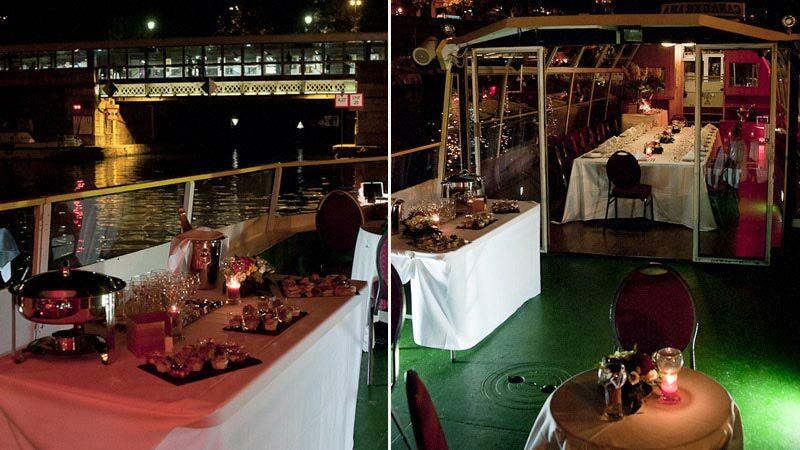 The Gavroche boat receives your receptions in an intimist atmosphere, for a maximum of 50 persons with a cocktail disposition. 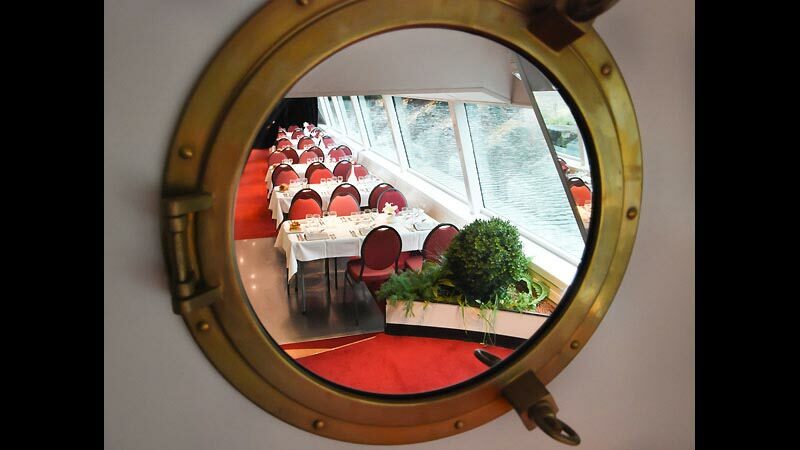 The room is entirely glazed which offers you a perfect visibility during the navigation. 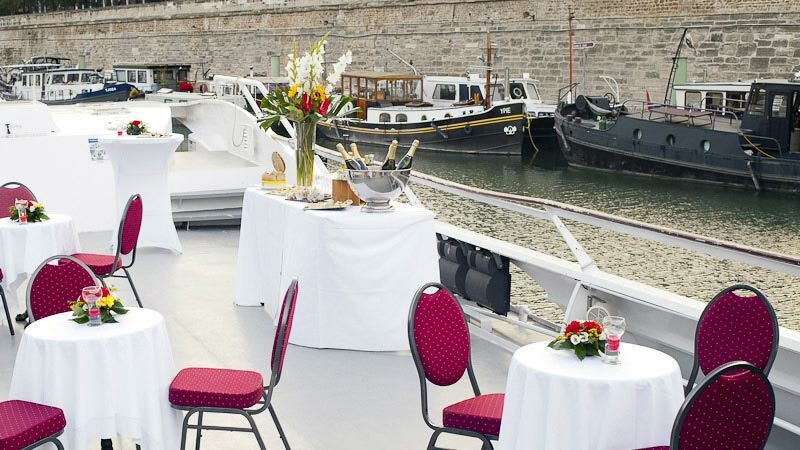 You will also have the possibility to enjoy the terrace in order to organize an aperitif. 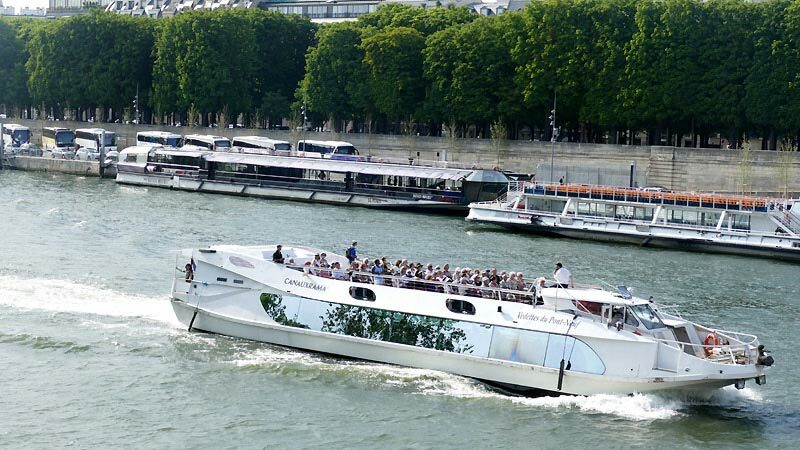 This boat can be really flexible according to the event you programmed. 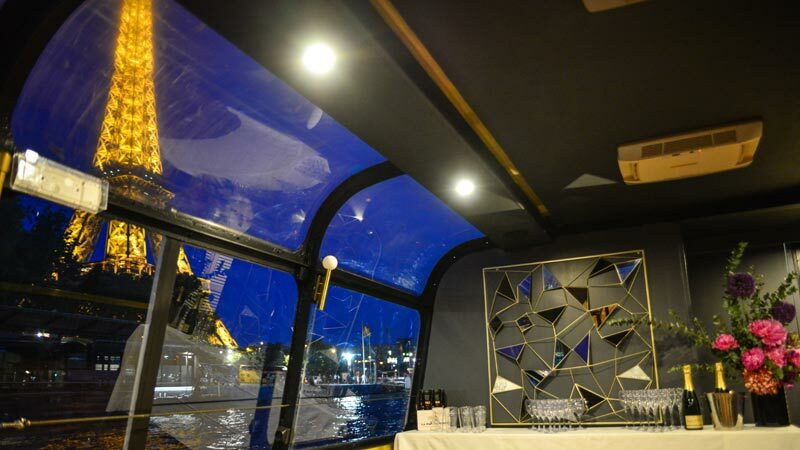 The Rocca V is a small vintage-style boat, decorated with panelling, brass and a wooden floor giving it a warm atmosphere. 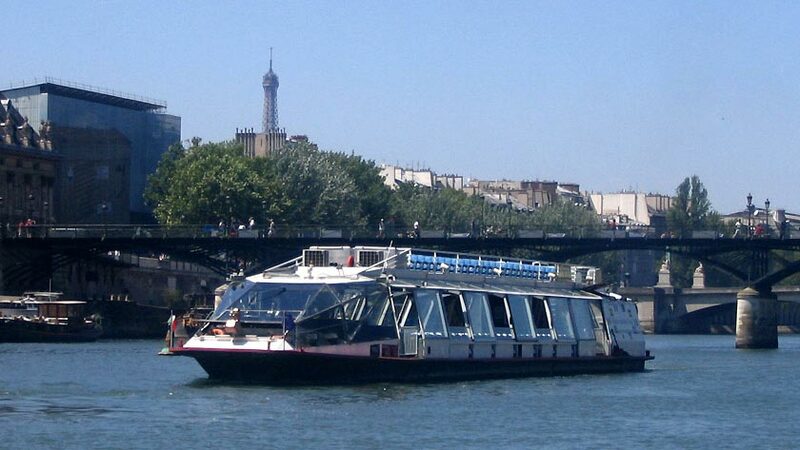 It is very light and allows a nice visibility on the outside, with large windows on the sides and a partly glazed roof. 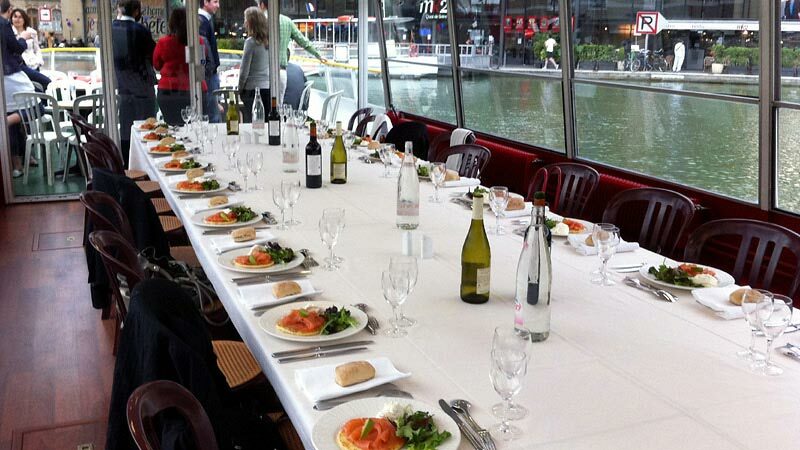 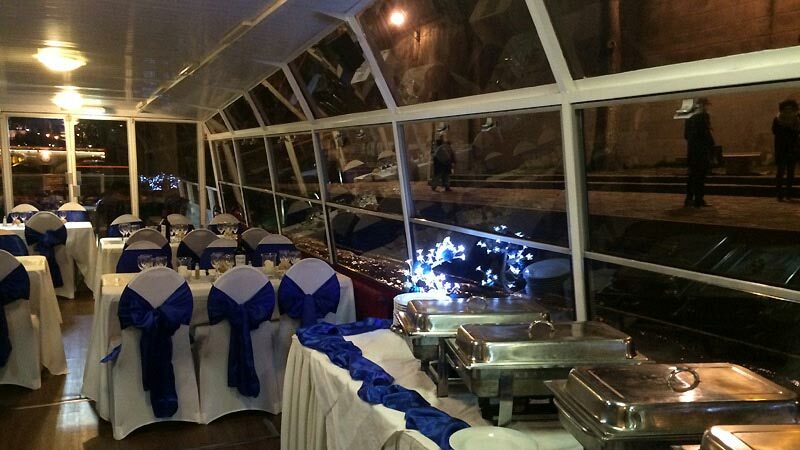 This boat is ideal for your receptions in small groups. 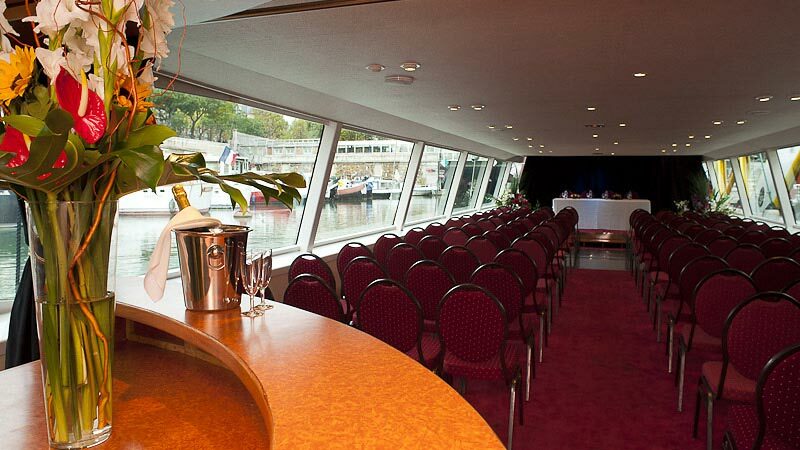 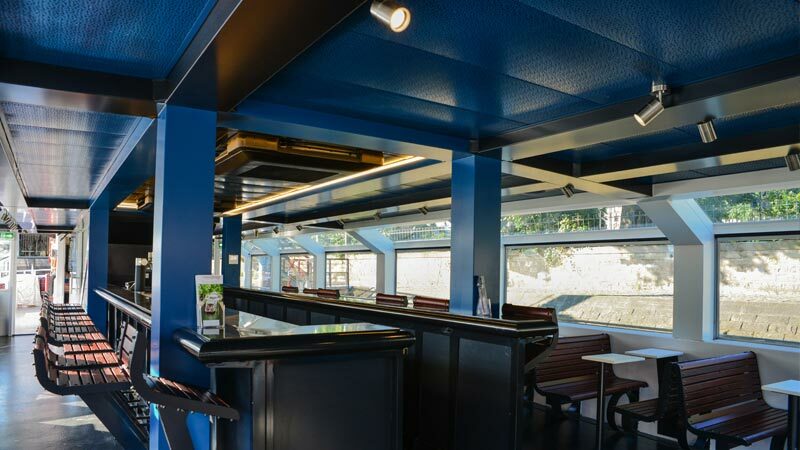 It can welcome up to 44 people for a seated lunch or dinner and 50 people for a cocktail ; and for a simple cruise on the Parisian canals, on the Seine or Marne rivers, up to 72 people. 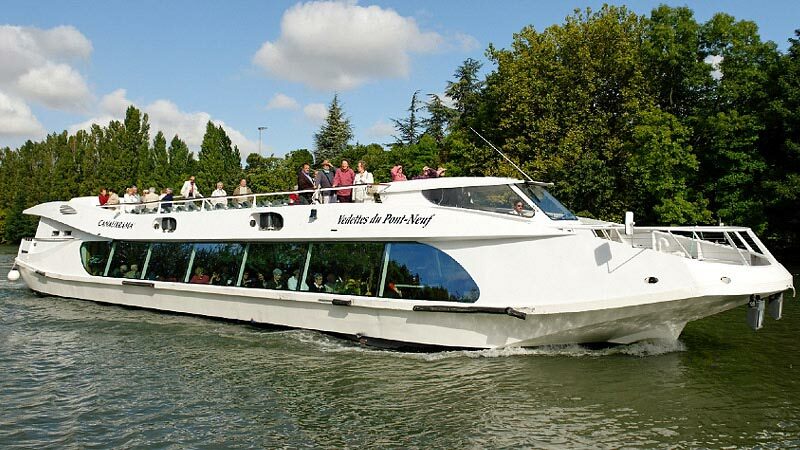 The Sisley is the boat suitable for all your cocktails with friends, family gatherings or work in an intimate setting. 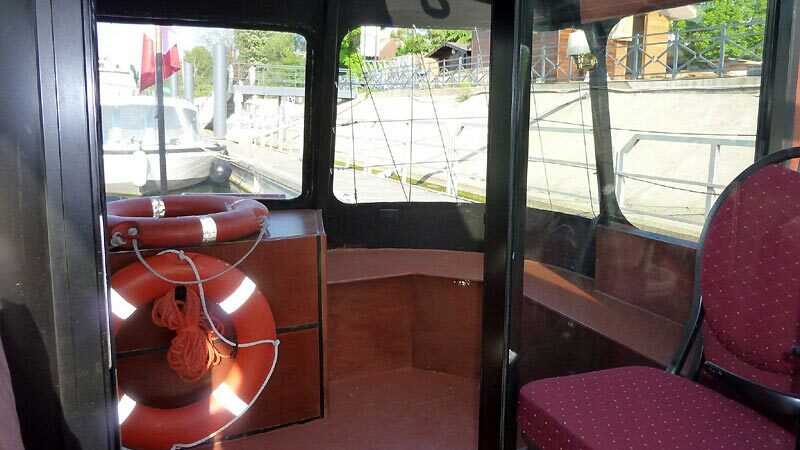 Small boat with an English charm, you will escape in the friendly atmosphere in which you will feel just fine. 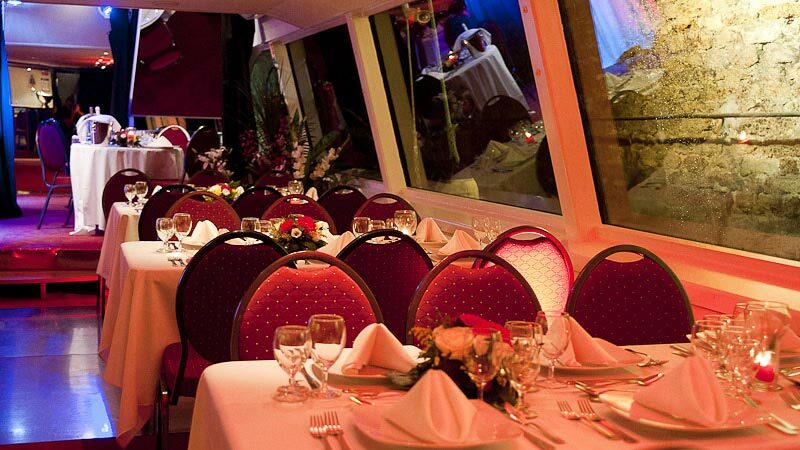 This Air-conditioned and / or heated boat can accommodate your groups from 2 to 50 people in cocktail setting and up to 30 people in dinner setting every day of the year. 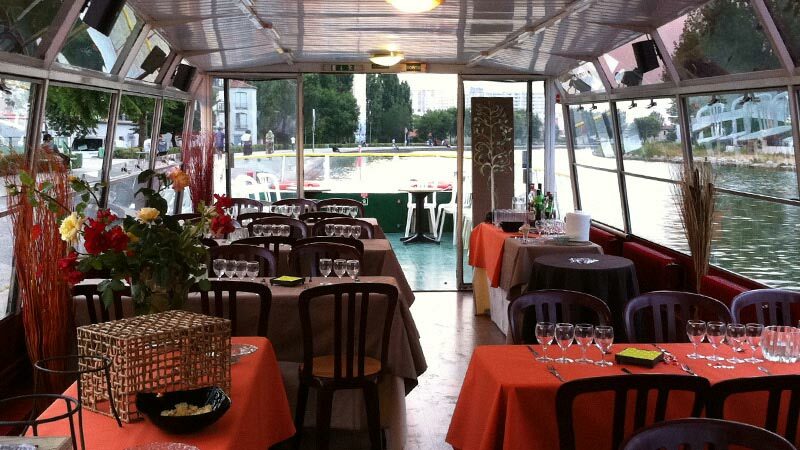 Ideal for a private cruise on the Seine far from the Parisian crowd.